There are many impressive historical sites including Meiji Period storehouses and history-rich temples in central Tottori, and even places related to contemporary manga works! Here are the major attractions of central Tottori! Central Tottori, with Kurayoshi at its center, developed as the heart of the Hoki Province during the Nara period (710-794) when the nobility held political power. Afterwards, commerce prospered from the Edo period (1603-1868) to the Meiji period (1868-1912). 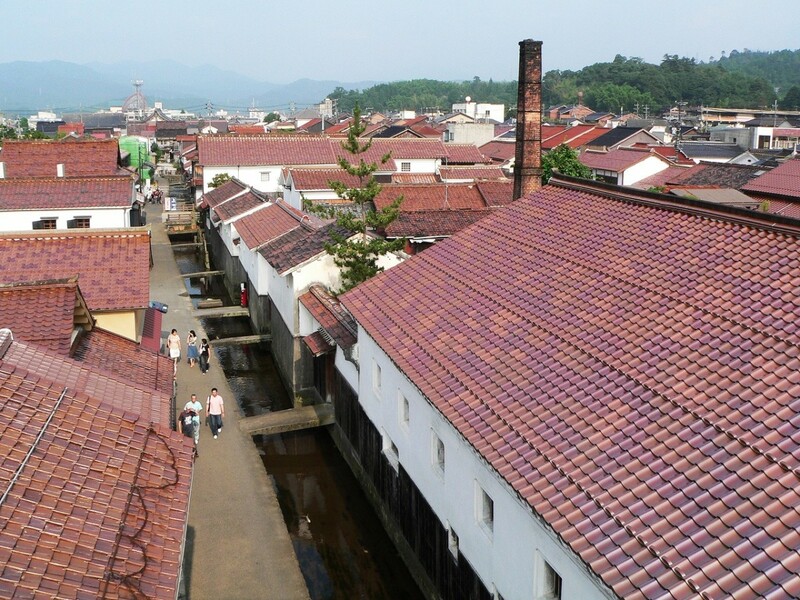 The Shirakabe Storehouses (White Wall District) built by merchants during this period holds great historic value. 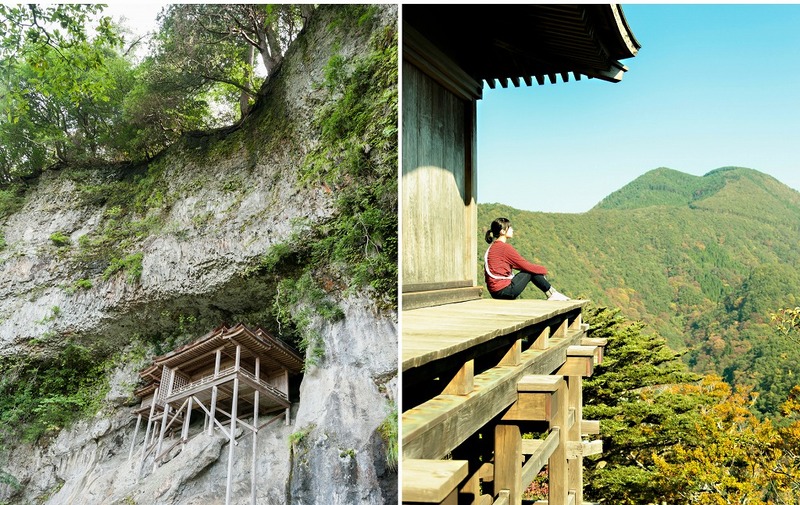 Spots where you can sense the history of the area, such as Misasa Onsen, where legend says that all kinds of sicknesses are cured, and Mitokusan Sanbutsuji Temple Nagareido Hall, a wondrous temple built on a sheer precipice, are scattered throughout nearby Kurayoshi. We especially recommend this area to those who hold an interest in old Japan. Mr. Gosho Aoyama, author of the comic book Detective Conan, is also from this area. As a result, this is also an area where those who love comic books and anime will want to visit for its factory where you can experience the world of Conan. Central Tottori is where sightseeing spots in the Kurayoshi area are gathered. It’s best to access Tottori or Yonago first, if you are visiting from outside the prefecture or the country, and then take the bus or train bound for Kurayoshi from there. Take either the Limited Express Super Oki or Tottori Liner from Tottori Station and exit at Kurayoshi Station. If you will be using the Limited Express Super Oki, then it will take approximately 30 minutes and cost 2140 yen. If you will be using the Tottori Liner, then it will take approximately one hour and cost 670 yen. If you are visiting Tottori from outside the prefecture or country by plane, then please use the Tottori Sand Dunes Conan Airport. It is 45 minutes by bus from the airport to Kurayoshi Station and will cost 1200 yen. Please read The Charms Of Eastern Tottori – Beautiful Places, Cuisine, Access And More!on how to access Tottori from Tokyo, Fukuoka, Hiroshima, and Osaka. If you will be traveling to Kurayoshi from Yonago Station, then take the Limited Express Super Matsukaze or the Tottori Liner and exit at Kurayoshi Station. If you will be using the Limited Express Super Matsukaze, then it will take approximately 40 minutes and cost 2870 yen. If you will be using the Tottori Liner, then it will take approximately one hour and 20 minutes and cost 970 yen. Please read The Highlights Of Western Tottori: Museums, Temples, And Travel Tips! on how to access Tottori from Tokyo, Fukuoka, Hiroshima, and Osaka. Transportation by bus or taxi is convenient when visiting sightseeing spots located on the outskirts of Kurayoshi. An All-You-Can-Ride Bus Pass, used to ride any bus within the Tottori prefecture, is also available so you should make good use of it. The pass is valid for three days and is 1800 yen. When you travel ten minutes by bus from strong>Kurayoshi Station, you will find a group of old buildings consisting of white plastered walls and red tiled roofs. This is Kurayoshi’s Shirakabe Storehouses (White Wall District) that were built in the Edo and Meiji periods. Among these buildings is the Akagawara Shop #1, a soy sauce distillery from the Taisho period (1912-1926), renovated into a commercial building, as well as sweet shops, food spots, and folk crafts shops that are also popular with the locals. 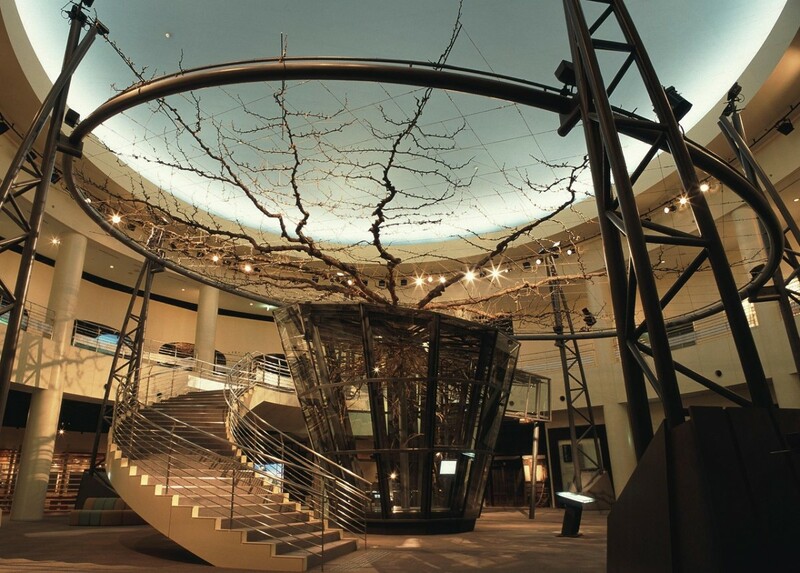 The Nijisseiki Pear Museum, located a ten minute trip by bus from Kurayoshi Station, is Japan’s only pear-themed museum. A large pear tree that has grown to 20 meters in width and various types of pears are on display inside the museum. You can taste test and compare the various pear varieties or enjoy pear-made sweets here. Misasa Onsen is located a 20-minute journey by bus from Kurayoshi Station. The 850-year-old hot spring represents Tottori and boasts the world’s best radon content. “Misasa” literally means “three mornings” in Japanese and legend says that all kinds of sicknesses are cured when you greet three mornings at Misasa Onsen. In addition to being a Japanese-style inn overflowing with elegance, there are also sweet shops and cafes inside. You can also enjoy a walk around town after entering the hot springs. Mt. Mitoku, located about 40 minutes by bus from Kurayoshi Station, is said to have been the training grounds of mountain ascetics (Buddhist monks who perform ascetic practices in the mountains) since around the eighth century. It is the sacred grounds of Buddhist ascetics and is also home to Mitokusan Sanbutsuji Temple Nageiredo Hall, a fascinating architectural wonder and Japan’s most dangerously situated National Treasure. Nagareido Hall, located inside the mountain-built Sanbutsuji Temple, is built as if it were clinging to the precipice which sits at an elevation of 520m. Nagareido Hall, located inside the mountain-built Sanbutsuji Temple, is built as if it were clinging to the precipice, sitting at an elevation of 520m. This spot was called “Japan’s best architectural work” by the famed photographer Ken Domon, thanks to its charming and miraculous position. To access Nagareido Hall, you will have to climb a rough mountain road. It is necessary for visitors to be in groups of two or more, wear clothes that are easy to move in, and to wear mountain-climbing boots or straw sandals sold onsite, but it’s worth the effort to see the amazing views found only at this temple. Manga artist Mr. Gosho Aoyama was born in Taieicho (present-day Hokueicho) on the outskirts of Kurayoshi in 1963. Detective Conan, his most well-known series, follows the story of Conan Edogawa, an elementary school detective, who solves difficult cases one after another while using unique inventions made by his friend Hiroshi Agasa. This super popular comic book series has been serialized for over 20 years (since 1994) and has also been made into several animated films. 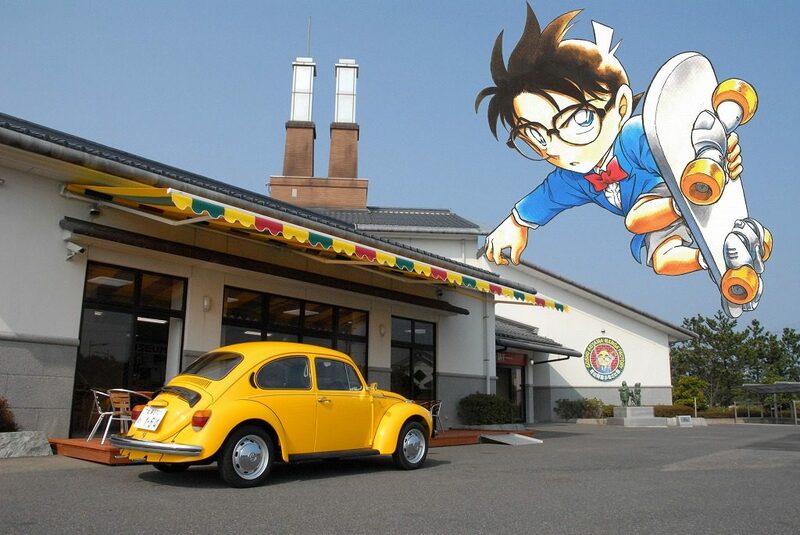 The Gosho Aoyama Manga Factory, located nearby JR Yura Station, is a facility where you can experience hands-on the inventions and tricks that appear in “Detective Conan”. There are also bronze statues nearby of characters that appear in the series. You can enjoy the world of “Detective Conan” here at this facility. What you will definitely want to eat when you come to central Tottori is their famous gyukotsu ramen (cow-bone soup ramen) which is known as the area’s local ramen. 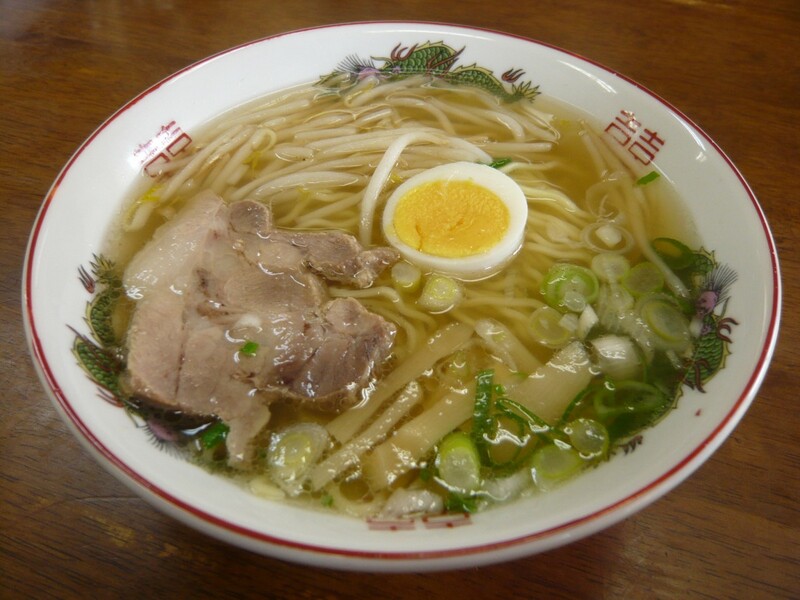 The ramen is characterized by its rich soup made by extracting flavor from cow bones, something that is extremely unusual even in Japan, and it is said this dish has popular in central Tottori since around the 1940s. Aside from the vicinity of Kurayoshi Station, there are also several shops located in Kotoura (in the area of JR Urayasu Station and Akasaki Station) which is slightly on the western side of Kurayoshi. You can also taste sweets such as taiyaki (fish-shaped cakes with a filling inside) and gelato at shops nearby Kurayoshi’s White Wall District. 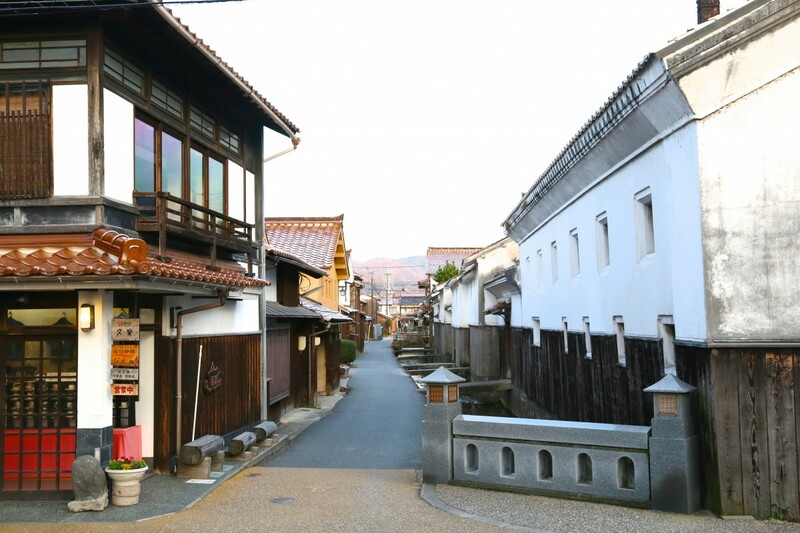 Central Tottori, with Kurayoshi at its center, has charm not only as an area with a historic townscape and landmarks, but is also a place where you can immerse yourself in the world of Japanese comics and enjoy a trip that exceeds time. 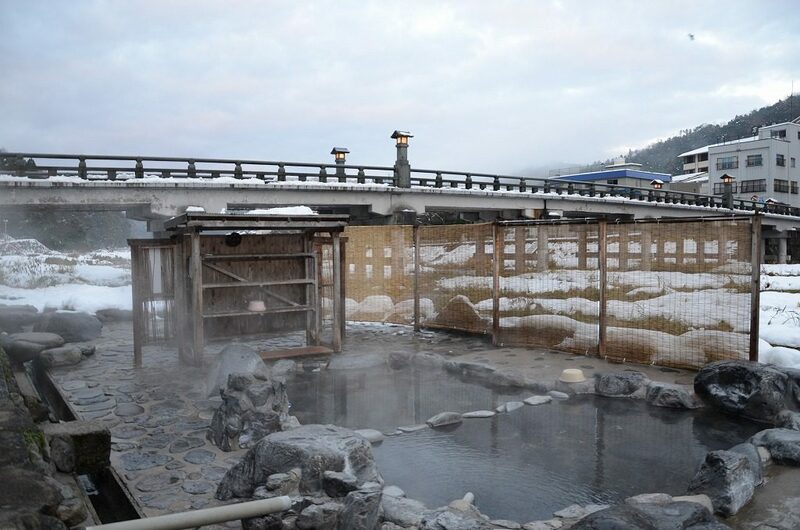 After enjoying sightseeing to your heart’s content, why not relax and heal your fatigue from your trip at the hot springs?